Okay, I will set my foot on the ground! I have used a lot of eyelash curlers but I will finally reveal which brand is my absolute favorite! The brand that I tend to reach out in my "drawer-ful" of eyelash curlers! This, of course, is based on my personal experience, and I am saying this because this particular eyelash curler fits the shape of my eyes like a glove! No eyelid pinching, no pulling of lash hairs, just pure curling...genius! 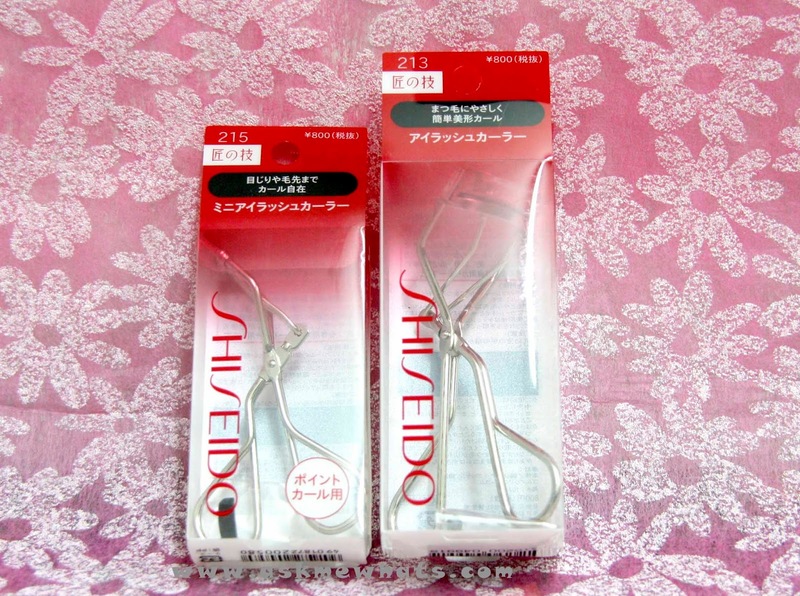 This is my answer, the Shiseido 213 Eyelash Curler. And yes, I love these so much I bought back ups during my Japan trip! Both another 213 and tested a 215 (mini curler). 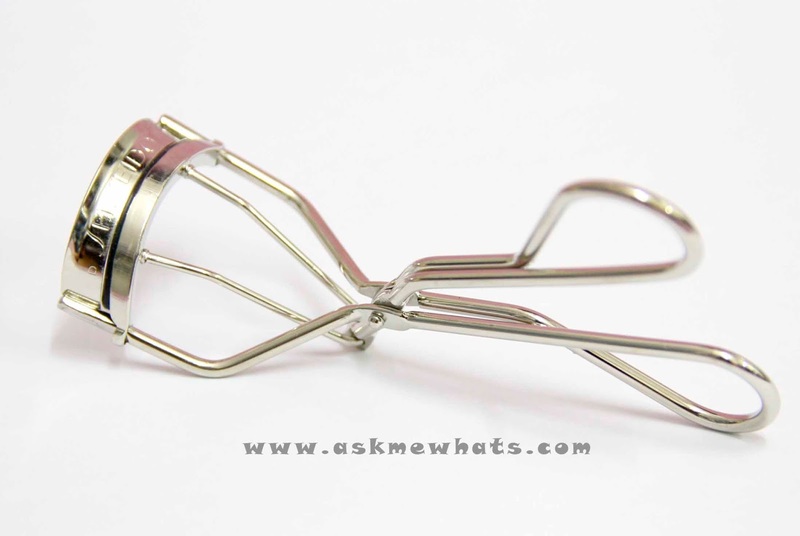 The Shiseido Eyelash curler looks just like any eyelash curler! The curler head is not as "curved" as compared to the famous competitor Shu Uemura thus having a wider "rim" means better curling power even on both sides of those almost non-existent lashes! Yes, this wonder can grab 'em all! The rubber fits perfectly on the metal curler with none of those space - thus, no lash pulling! If you purchase a Shiseido Eyelash Curler, you'll get a free rubber inside so please do not purchase rubbers from different brands and it it in! It won't work that way! My eyes is small, yet a bit "wider" as compared to other Asian eyes, so in just one try, the Shiseido Eyelash curler can grab 90-95% of the lashes! I don't have to press hard, with just a bit of pressure, my lashes can get that nice "curl". So here's the big question probably most of you are thinking, "So, is Shiseido the best eyelash curler out there?" YES and NO! Yes, if your eye shape fits the shape of the Shiseido Curler head and NO if you have different eye shapes. At the end of the day, the best eyelash curler is the one that is made to fit you. Give those curler testers a try and who knows? The most inexpensive ones may probably be your HG! 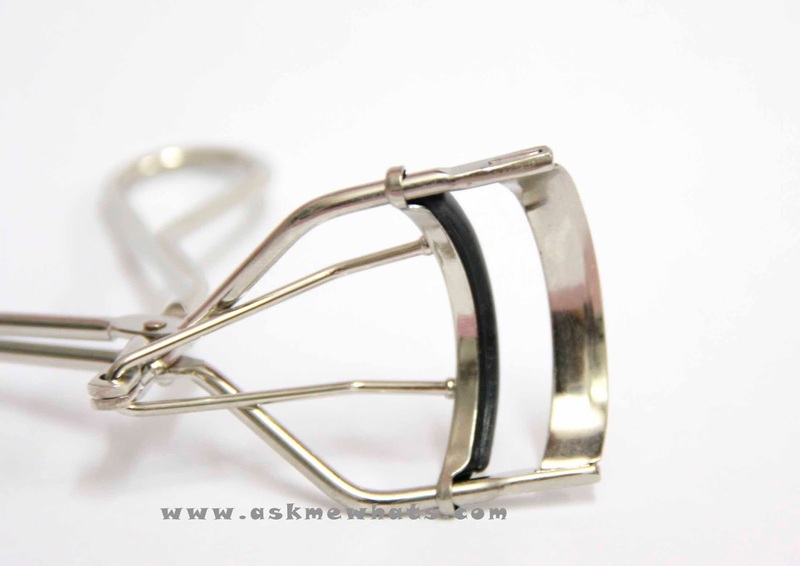 What's your favorite Eyelash Curler? Share to us your eye shape too! I also use curler and I love the effect in your eyes! I want to give it a try! Curler is the unseen hero in women's make-up kit. Agree! what's your favorite curler brand Claire? What particular brand are you using now?